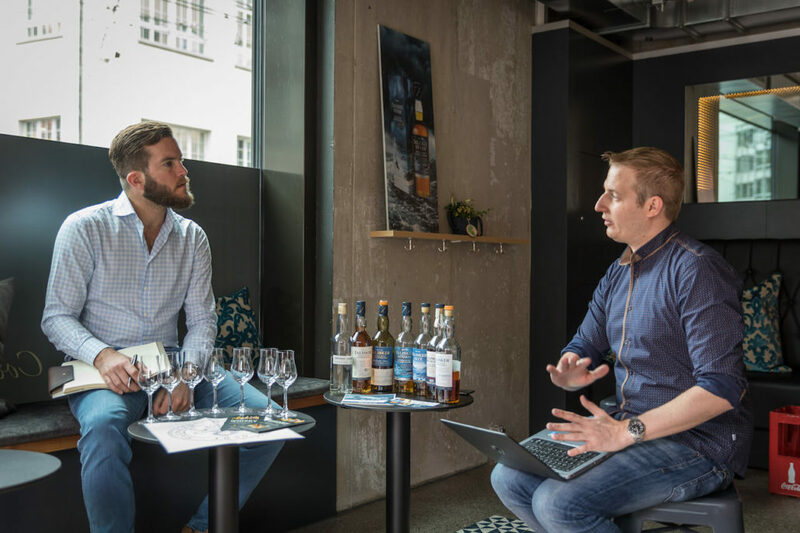 A couple of days ago, I had the pleasure to interview Andreas Walch, listen to the impressive history of the Talisker distillery and taste a few whiskies. 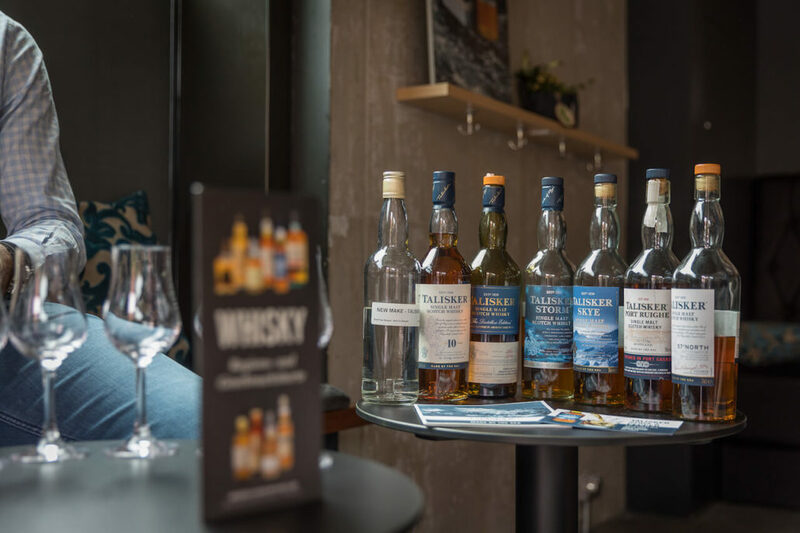 Founded in 1830 by the MacAskill brothers, an interesting story follows with different owners until 1960 when a fire destroys a big part of the distillery. However, since I’m often led by emotions, I wanted to pick up the part that inspires me the most. Rán is the female god of the northern mythology, half human and half fish. She stands for the varying moods of the sea. The sea has inspired humanity back to our very roots and has an influence since ever. Also, other mythologies, for example the Greek ones, prove that we’re talking about a great power here. In meditations, you can learn to be like the sea. Silent and calm when necessary, stormy and powerful when required. But finally, you learn to let go and accept the inner peace – like the sea. The sea has a great inner power and silence, it’s finally showing the harmony of the two aspects. It’s called entirety. The Isle of Skye is renowned for its rich, varied landscape. With its soft, serene shores and a astonishing view to the Cuillin mountains. 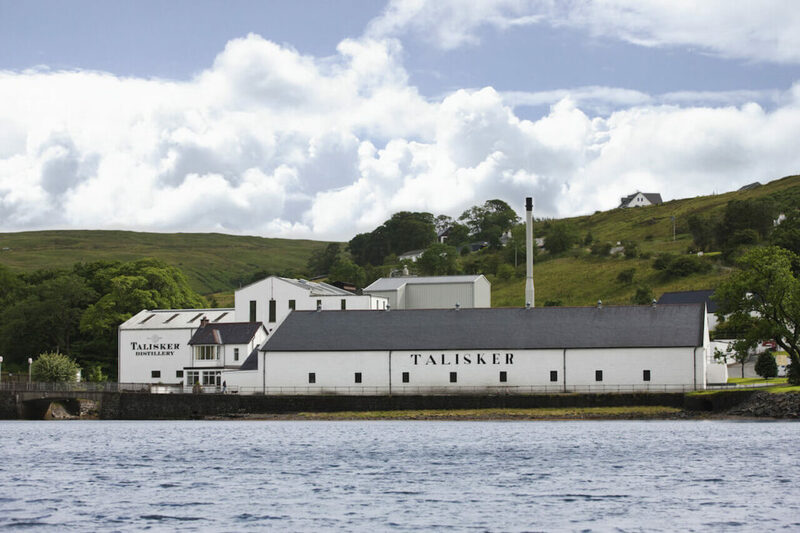 Talisker Skye is the distillery which reflects the entirety of the sea at its best. 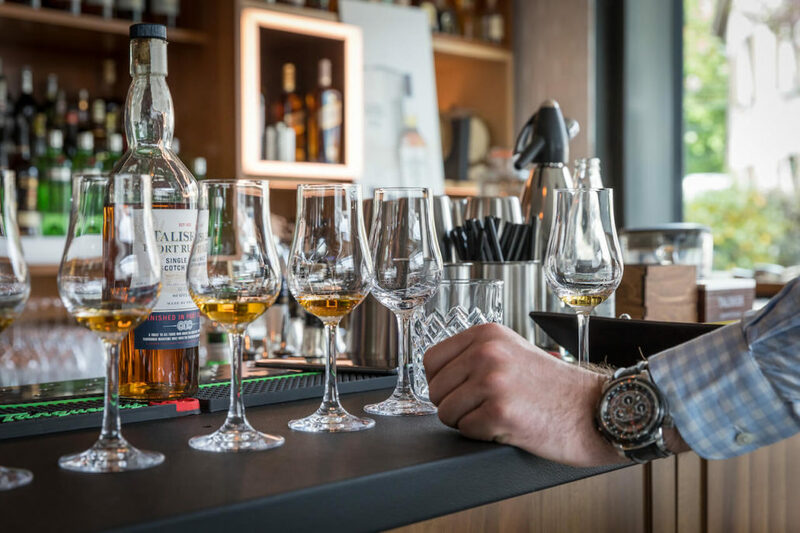 With a smoky sweetness, maritime notes and a spicy edge, it makes you feeling the taste of the sea. 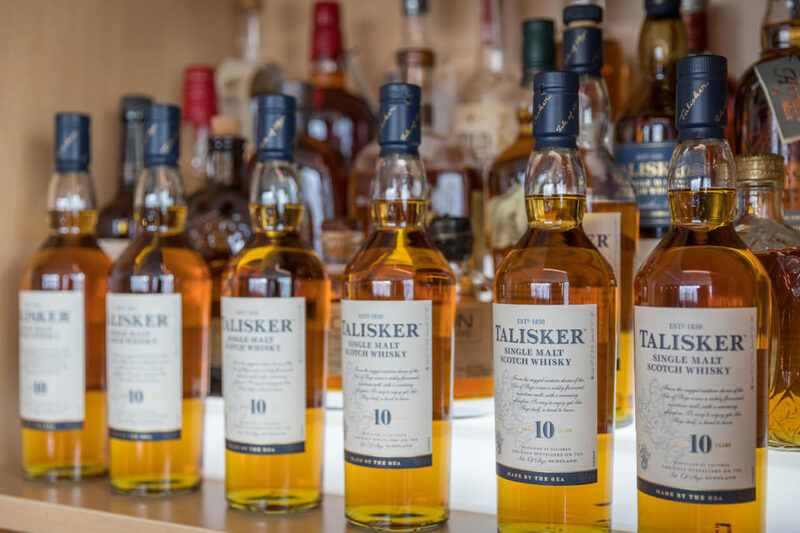 The oldest working distillery on the Isle of Skye, Talisker is an alluring, sweet, full-bodied single malt that’s so easy to enjoy, and like Skye itself, so hard to leave. I learned a lot during my conversation with Andreas. Of course I tasted a bit of the whole collection and finally mixed my own cocktail. 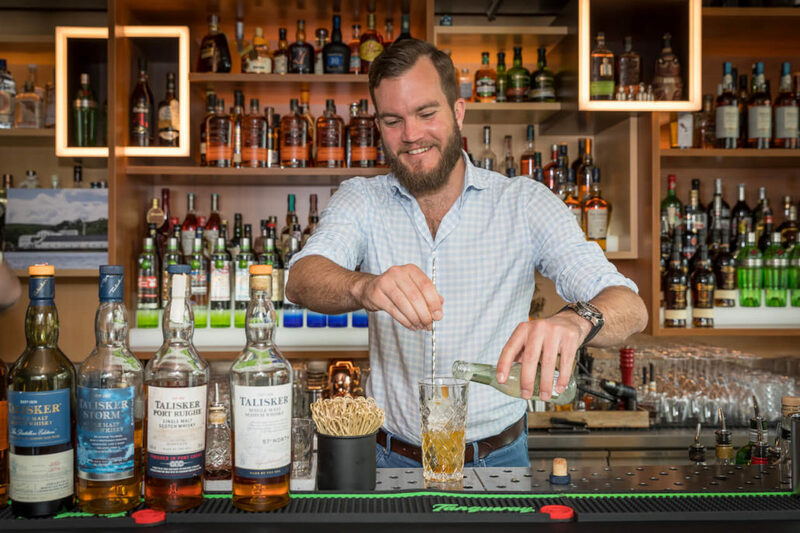 Okay, I’m not very experienced with Cocktails – I usually order straight. But Andreas showed me a new version – called ‘Talisker Skye Rider’. 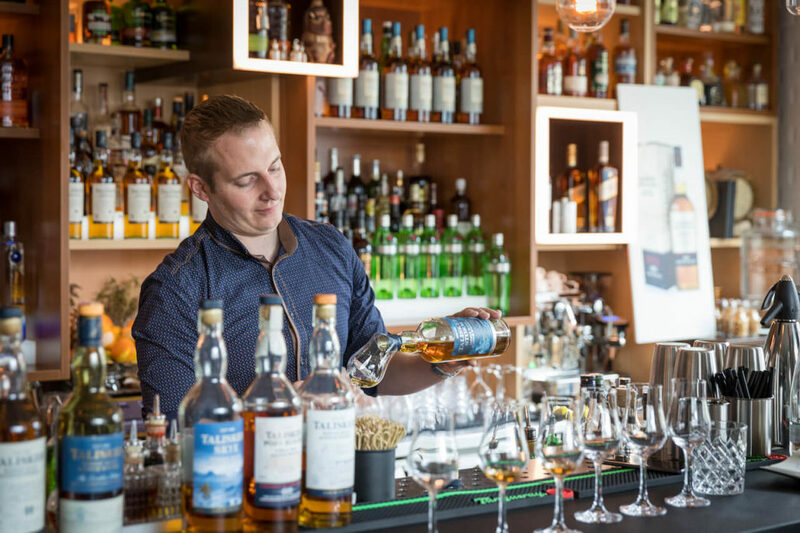 The Skye Rider is definitely one of the cocktails I’d order at the bar. 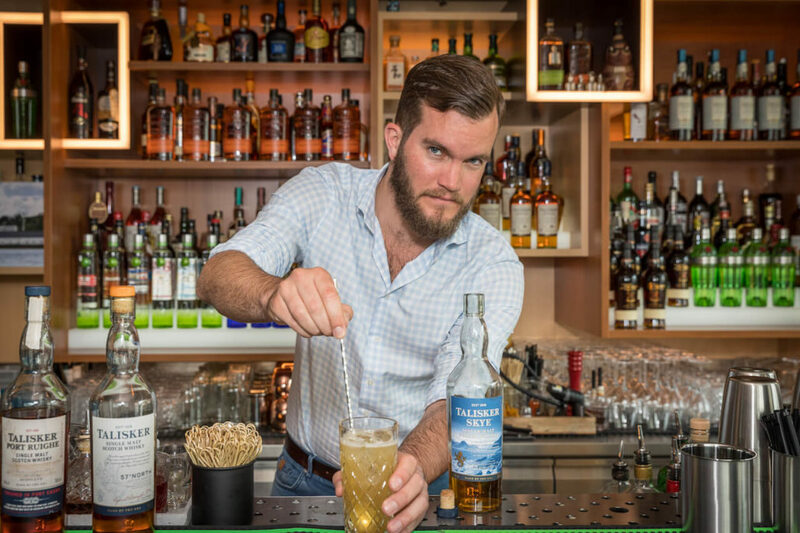 – Fill up the cocktail glass with ice cubes – Add the Talisker Skye Whisky plus the maple Syrup – Fill up the glass with ginger beer – Mix the whole drink and top it with a slice of lime -> you’re done.